To get your copy of Country Garden’s Magazine! 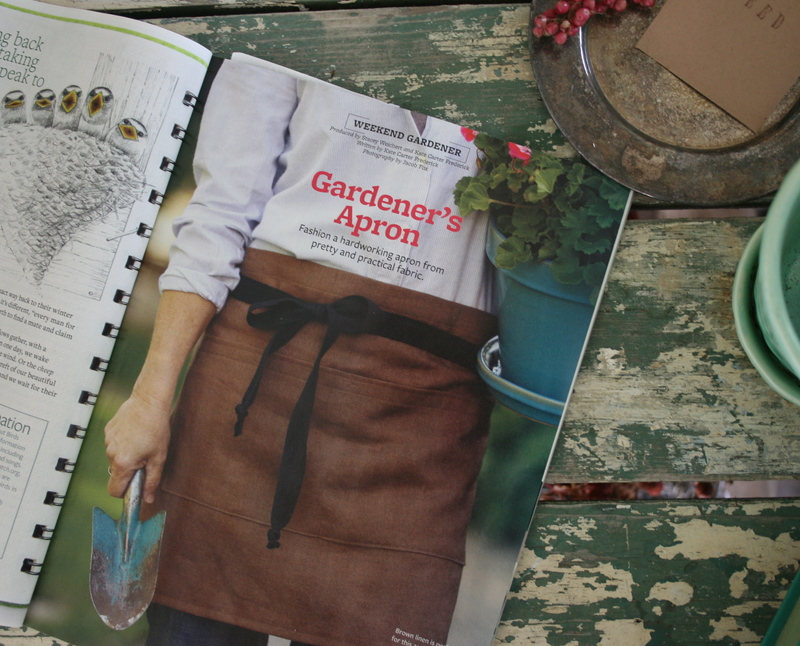 I produced this story, along with Kate Carter Frederick…how to make a very easy and functional garden apron. Country Gardens is even giving away an apron! Congratulations! Very exciting for you to see this in print. Thank you Audrey, I thrill of a lifetime for me! I couldn’t be more grateful for the opportunity to work with Country Gardens magazine. I’m so glad you reminded us… 🙂 Love the apron…love the color of it! The brown linen is my favorite, and so glad they featured it. Kate Carter Frederick had forgotten that pot and plant, and had ran back to retrieve it. I thought the photo’s were brilliant. Hey! Looks like you have an extra special Issue!! I noticed the coil spine 😀 Congratulations Stacey, so wonderful! Thank you so much, I am so grateful for the opportunity! Congratulations, on another magazine article. Cool, Stacey! I’ll look for it. Thank you Eliza! Hope you enjoy it, the issue is a good one!